2009 was, for me, the year of the mouse melon. You can read my previous post in which I enthuse about this little crisp cucumber relative that looks like a miniature watermelon. So if you want 2010 to be your mouse melon year, order your seed now. You’re not likely to find this one at your local garden center (unless you urge them to carry it! ), but a number of seed companies do have it. 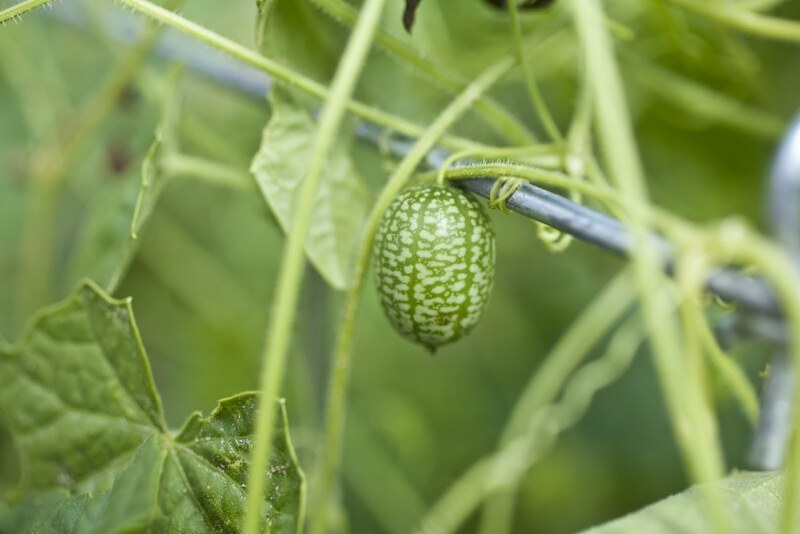 The most likely way to find it is to search under “Mexican sour gherkin” as that’s the most-often used name in the seed industry. Here are some catalogs I’ve found that carry Mexican sour gherkin seed.